Lukas Ketner Illustration: Steal Back Your Vote! 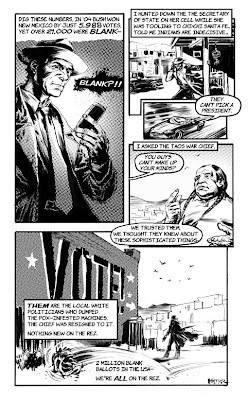 I've done some comics for Greg Palast's Steal Back Your Vote! 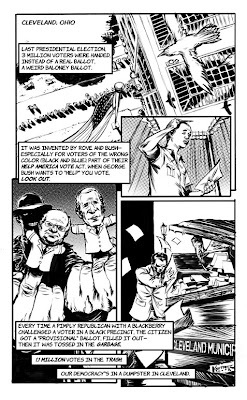 It's an educational comic book created to protect you from having your vote discounted this election. It's very informative, and as a bonus, I get to share the same pages as cartoonists Ted Rall and Lloyd Dangle, both of whom I have admired for years. Please follow the link to the site to download your free copy of the book, here are two of the pages I contributed (written by Greg Palast and Bobby Kennedy). Wow ! fantastic post and looking so nice and very amazing it's also helpful information all of us so thanks a lot for sharing this.